The Stressful Adventures of Boxhead & Roundhead will be playing at the Melbourne International Animation Festival and I'll be there! "...For his feature, Cowan has held onto the simple, graphic design of his two leads, but has rolled out a much more lush and intriguing range of backgrounds and environments. The writing is snappy, the voiceover work is pitch perfect and the look of the entire piece is graphically clever. This isn't a slick CG blockbuster. It instead musters the creative resources on hand to embody what an animated feature is supposed to be like". 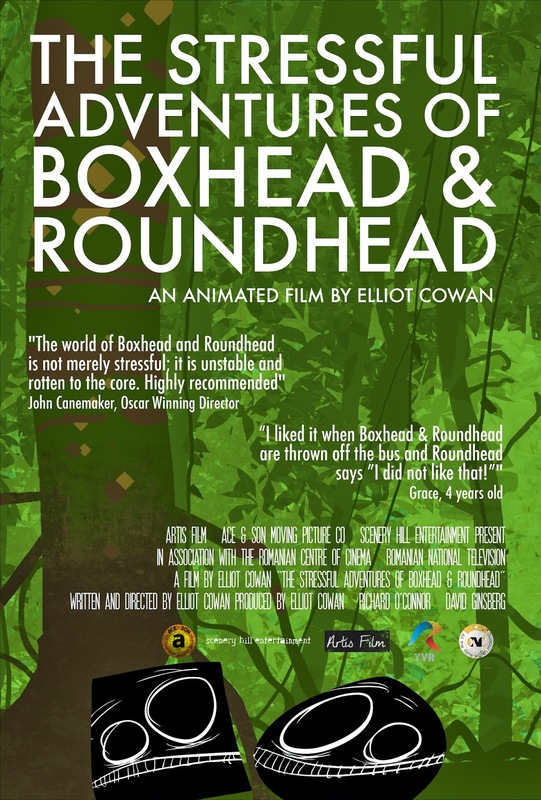 Last night we had our first proper public screening of the Boxhead & Roundhead feature. I was weary and punch drunk and although I thanked some folks I didn't thank everyone. 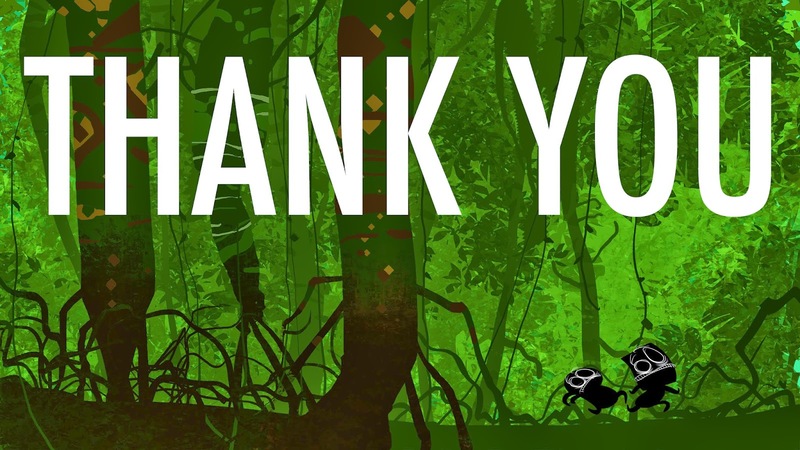 So this is a thanks for everyone. Huge thanks to Tom Chianti for recording the original voice tracks. Massive, colossal thanks to JZ for all his sound design and music and endless hours through the night. Lyla Ribot for all her Mr Urso and Officious Clerk animation. Amanda Bautista for her Lars animation. Shannon for her work that she was classy enough to let us redo. Annelise Williams and Kara Sankus for graciously and quickly doing all the boring stuff like painting. Anamaria Solis for her walk cycles and general awesomeness. Michael J. Ruocco for jumping in and generously donating his animation time when he had to give it. Julie Verlade for almost all the facial animation on B&R. Katie Kirschner for her wonderful Mrs Worthington animation. John Lustig who did some of the best run cycles ever. Melissa Chilkotowsky who had a scene edited out but did nice work on both that she tackled. Taisiya Zaretskaya for a couple of face scene. Jeremy Beck who was a wonderful, funny Boxhead against my idiot cartoon voices. Carl Doonan who voiced the Officious Clerk. Boris Hiestand who voiced Lars. Neil Ross, who donated his time and talent to my weird little project and made the film look 89 times better than it could have without him. Mick Moriarty of The Gadflys whose songs brought something so special that it's impossible to use enough English words. Nat Jencks who did our colour timing. Richard O'Connor who was a calm and polite voice of reason amid all my cluckings and fussing. And of course David Ginsberg who helped make the whole thing happen in the first place. I couldn't have done with without you guys. You are totally and utterly the best.